Great value for Mission Viejo, one of lowest prices on market for 2 bedrooms!! 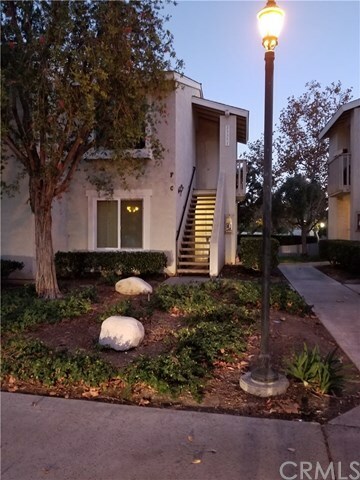 Centrally located near large park, shopping, restaurants, and freeway. Everything has been done to this nice home with fresh paint (no popcorn ceiling), new raised panel doors and hardware, everything replaced in the newer kitchen with appliances, microwave, dishwasher, refrigerator, sink, fau, and white quartz countertops. Bathroom recently updated too. Ceiling fans in both bedrooms and dining area. Fenced patio/yard that backs to the quiet entry street for more privacy and open view out of living areas. Tile entry, living room, dining area, kitchen, hallway and bathroom. Wood flooring in both bedrooms and louvered wooden shutters plus all new dual pane windows and sliding door. Washer and dryer included on the outside patio area plus another lockable storage closet by the front door. One reserved parking space in front of home plus ample parking is provided in the large lot. Association to repipe all units, repaint, wood refurbishing/replacing and resurface parking lots. Trash is included with the association. Immaculate and completely upgraded.